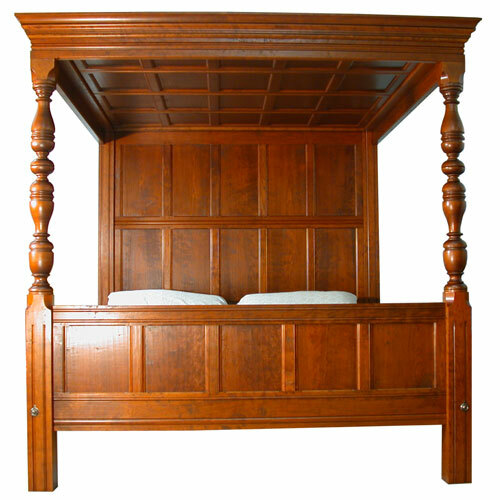 BEDS, BEDS, BEDS! Tall Posts, Low Posts, Cannonball Posts, Pencil Posts, Pineapple Posts, Spool Posts, Faux Bamboo Posts, Chippendale, Sheraton, Hepplewhite, Empire Reproductions. WOOD, WOOD, WOOD! Tiger Maple, Maple, Mahogany, Cherry, Ash and Oak. FINISHING TOUCHES! 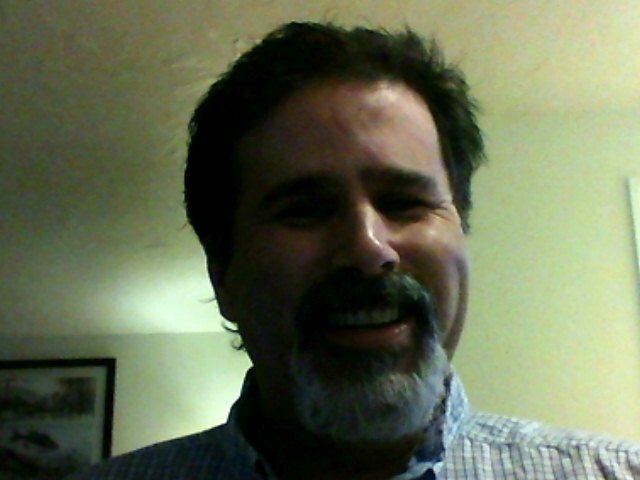 Paint, Stain, Silver Leaf, Upholstery, Distress, Custom. 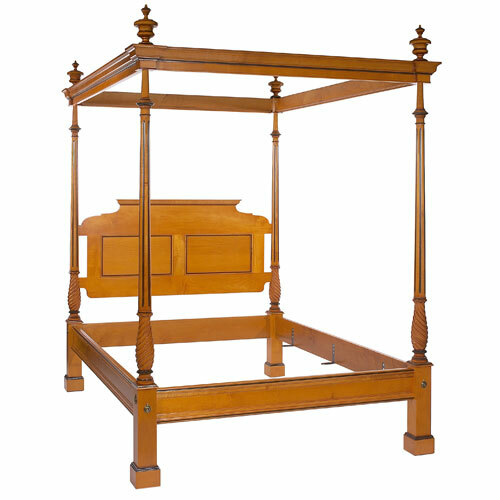 Our team of expert craftsmen build fine four poster beds and custom furniture in our historic 1890 textile mill building located in the coastal town of Tiverton, Rhode Island. Each and every piece we build is customized to the exacting specifications of interior designers both nationwide and internationally. 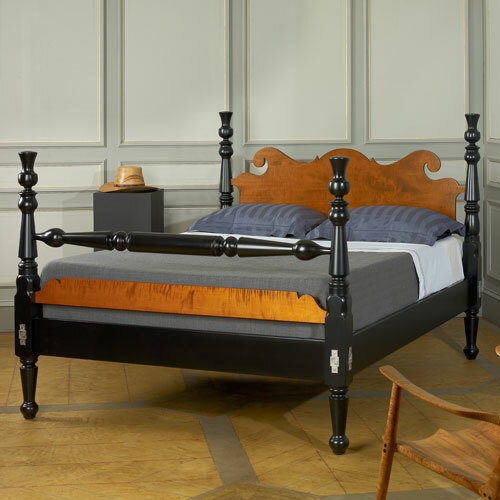 As a selling tool, we created vintage style Salesman's Samples of finely turned maple and tiger maple posts just like the original 19th Century beds. 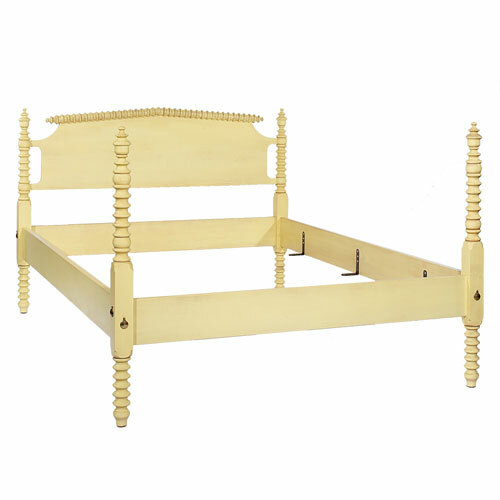 These quarter-scale versions of classic three-quarter size rope beds, complete with rope holes, blanket-rails and bed-bolt covers, illustrate our painstaking attention to detail and craftsmanship. 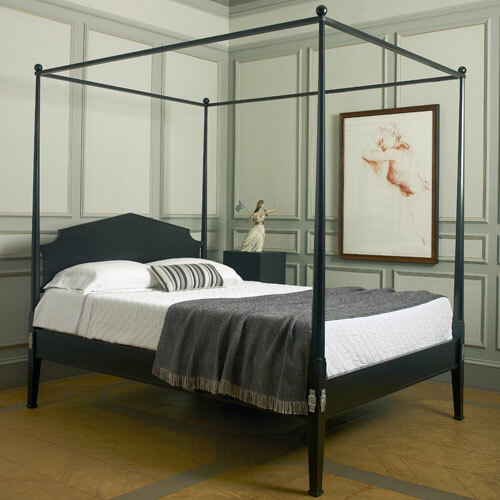 The Metro Sphere and The Desert Thistle Beds are fine examples of sophisticated craftsmanship - cityside and countryside. Start with hand-selected, premium raw materials. 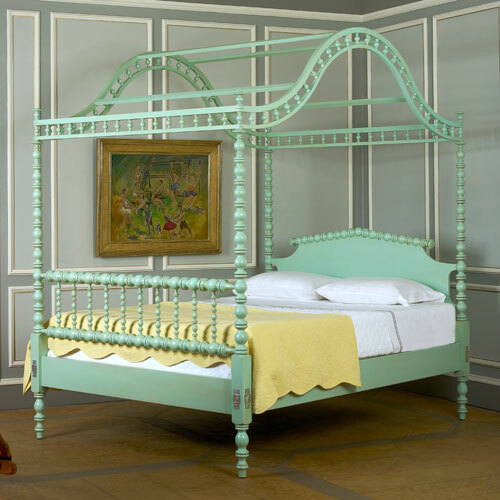 Add superb attention to detail such as an angled recessed panel headboard or a folksy blanket-rail. 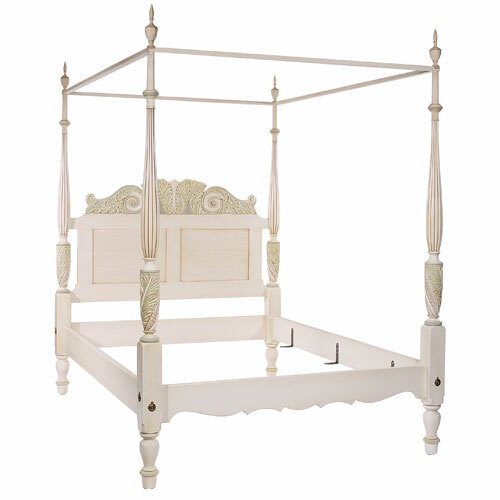 Finish up with decorative paint accents, rich wood finishes and custom signature bed bolt covers. Expect rave reviews! 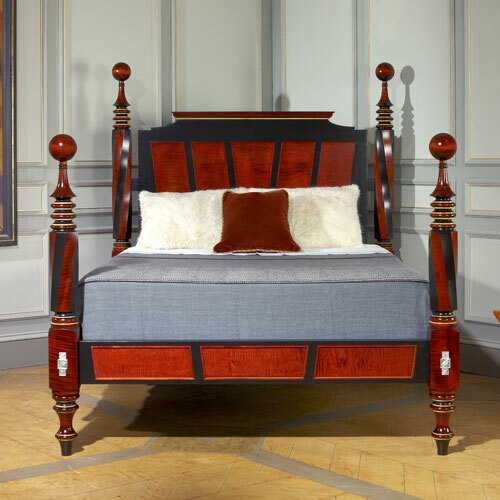 Through decades-long relationships with wood merchants, we have accumulated an abundant supply of solid, premium hardwoods for use by our expert craftsmen. We pride ourselves on buying our raw materials from reputable lumber dealers that source their supplies from renewable resources. 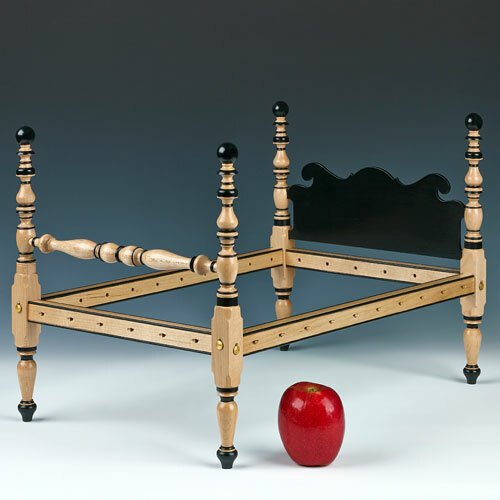 Our bed posts are made of premium, hand-picked, solid lumber - never laminated boards. We cherish the time-honored ways of fine woodworking but also embrace some 21st Century technologies that afford us the flexibility to handle short runs or one-of-a-kind creations efficiently.